For a show to premiere at the theatre it requires more than actors. Light is one of the most fundamental elements for creating a show. 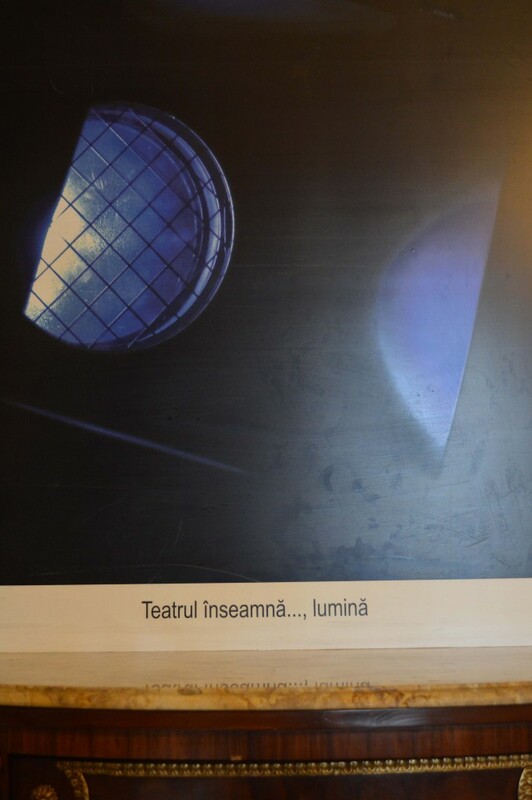 That is why I sat down with lights specialist and designer Lucian Moga. He started working in theatre by total coincidence. His first profession was as a geological engineer. Some friends who worked at the theatre convinced him to take a job there. His geologist friends considered him a little bit of “an idiot.” But he was “quite blurry” on what he wanted to do. 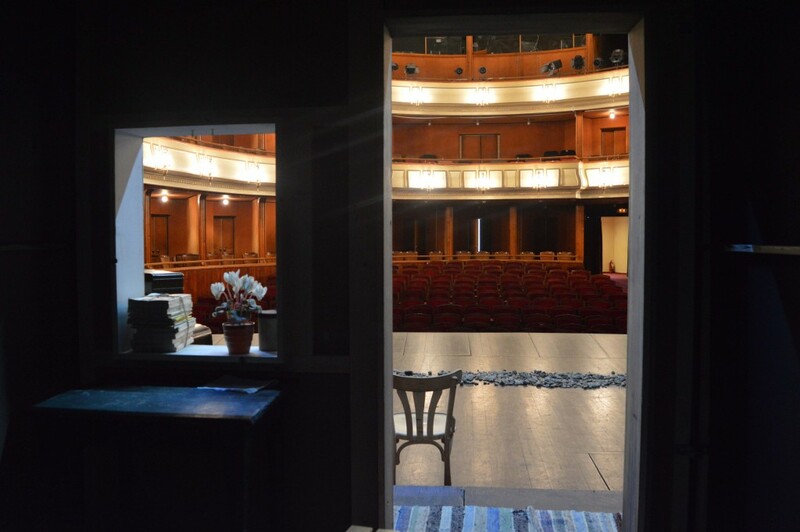 Therefore he started off working at the theatre as a technical director, a time during which he studied and was naive enough to want everything to be perfect, in order for people not to see that he was coming from another work field. He learned about “the stage, the technical side of the stage, the relationship with the actors, the discipline of the stage” which all helped him a lot further ahead. 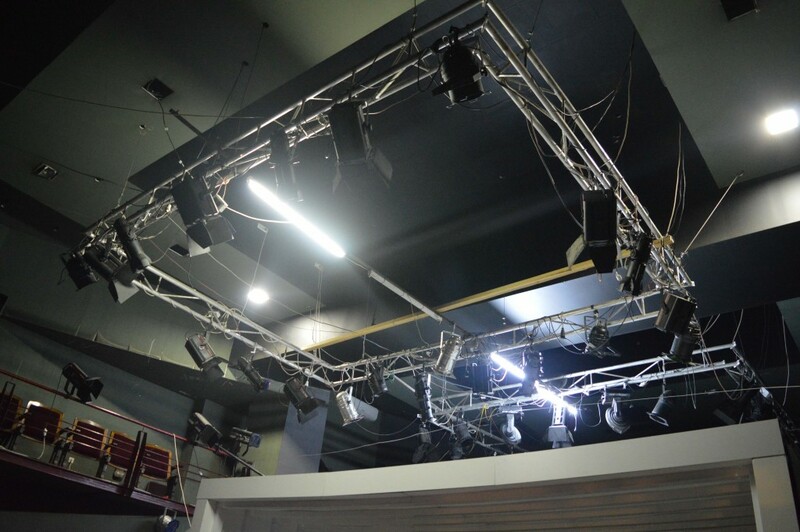 After five years he was proposed to take on the lights system which had a digital control and programmable lights – the first in the country at the time at the Classical Theatre “Ioan Slavici” in Arad. No one knew how to use them. “It was a challenge,” he says. Since then he hasn’t changed his profession. The lights specialist has to have a cue list made up of situations that you go through according to benchmarks (replica, movement, change in attitude, musical point). For Lucian Moga the theatre was a place he was quite unfamiliar with: “before I got into theatre I saw 10 shows tops, from which 4 were required for school” – that was why it was shocking for him as well as others when he started to work there. Nowadays he has already worked in more theatres in Romania than the ones he hasn’t. He learned to approach differently each job, depending on the person running the project. For example, he worked on 28-29 shows with Alexander Hausvater – a Romanian born Canadian stage director. “he is a world alone, a big world”; he is an energetic person, very dynamic, strong and active; a person which “doesn’t get knocked down easily, no matter how obvious the impediments.” Working a lot with Hausvater, Moga said that it hardened him. The show turned out great, and a good sign was that there were controversies.